In order to decide which is the best canon portrait lens to buy, you need to consider a few important things before reading all of the Canon lens reviews. It can get confusing because you have so many options. You can save money and get an adequate lens for covering a variety of portrait shooting situations or go with more of a specialty portrait lens for the utmost in portrait quality. 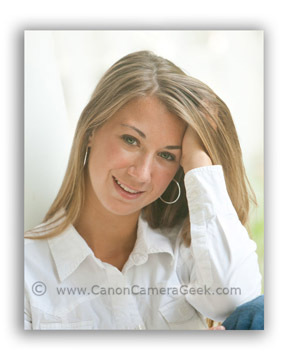 This post will help you find the best Canon portrait lens that's right for you. But, first a word of caution. The camera and lens technique you use is even more important than the lens you use. Don't get me wrong, good equipment is vitally important. I should know. I likely have 10 times more equipment than you do-but I should. It's how I make my living. Here's the thing. If you go invest a huge amount in the very best golf clubs, you know, the same ones the pros do, you won't play like Tiger Woods did in his prime. You make take a few strokes off your game, but learning some technique and putting in the practice will help the most. Okay, enough of that! Let's dive into portraits lenses from Canon. YOUR LENS SHOULD HAVE A DECENT MAXIMUM APERTURE. In general, when taking portraits it's usually desirable to have your background go soft. An out-of-focus area behind your subject forces your attention on your subject and not on the background. YOUR LENS SHOULD GIVE YOU SOME DISTANCE FROM YOUR SUBJECT. You get a more pleasing perspective of your subject, and it's also more comfortable for your subject, if you're not standing too close. Being more distant from someone allows them to relax and that bodes well for a more natural expression. YOUR LENS SHOULD BE VERSATILE. Although the image quality can't be beat, a non-zooming "prime" lens limits you on how you can use it. Get a zoom lens. You won't regret it. I personally have three Canon lenses that I have used as portrait lenses. I use a 70-200mm f/2.8, a Canon 85mm f/1.8, and a Canon 24-105mm f/4. I use the 70-200mm the most, followed by the 24-105. Update: I added a 4th lens, the Canon 100-400, but more on that a little later. 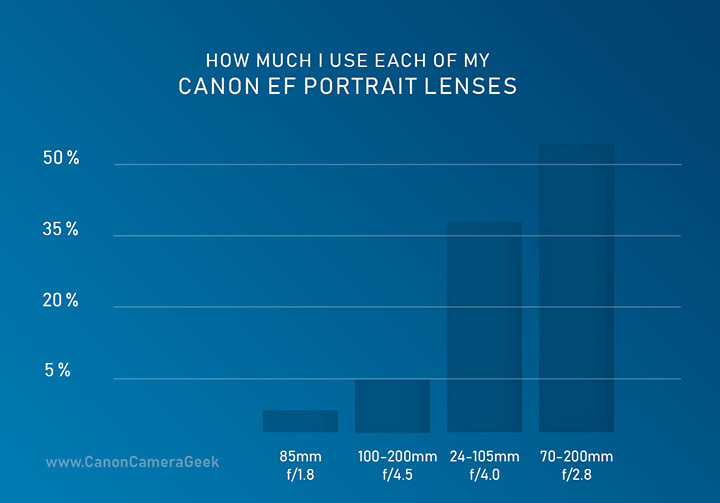 Bruce's percentages of using various lenses for portraits. Now, these are all EF lenses, the lenses that have enough coverage to work with your full-sized sensor camera. If you have a APS-C "crop" sensor camera like the Canon t7i, t6i, t5i, 7D, 70D, 80D, etc., you can use an EF-S lens. 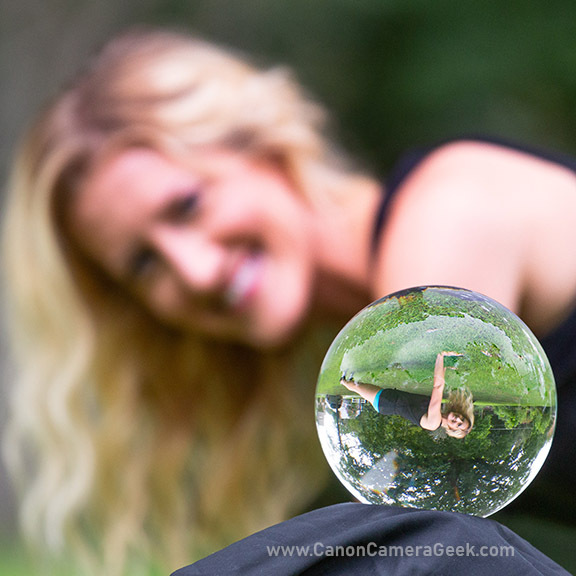 That saves you weight, size, and money for getting the best Canon portrait lens. Okay, let's dive into the Ef lenses first. 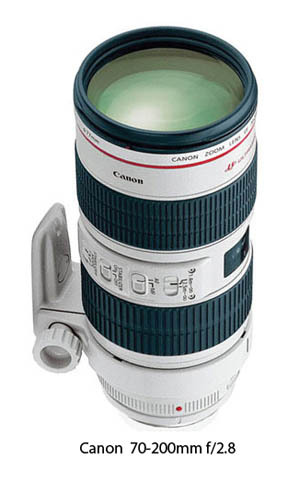 The Canon 70-200 f-2.8 IS. By far, this is the lens that pro portrait photographers swear by and it's the one I use more than any other of my portrait Canon portrait lenses. 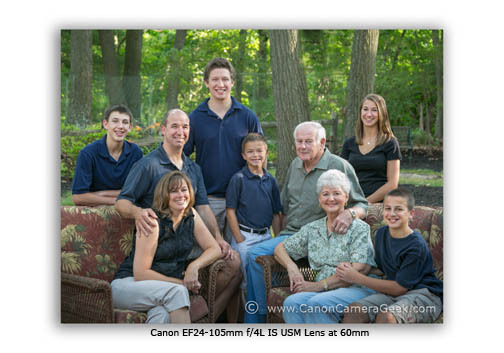 Set at 70 mm, you can still photograph relatively small families and group poses and still maintain a good working distance. Zoomed in to a 200mm setting and you et great tightly cropped head shots like the senior portrait at the beginning of this post. The quality of the blur (bokeh) is really good on this lens at 200mm. The Canon 70-200 f4 lens is even more popular than the 70-200 f/2.8 as a portrait lens with advanced photo enthusiasts-those photographers who don't shoot professionally. That's because of its weight and price. It's easier to carry-smaller and lighter-and it cost a heckuva lot more affordable too. 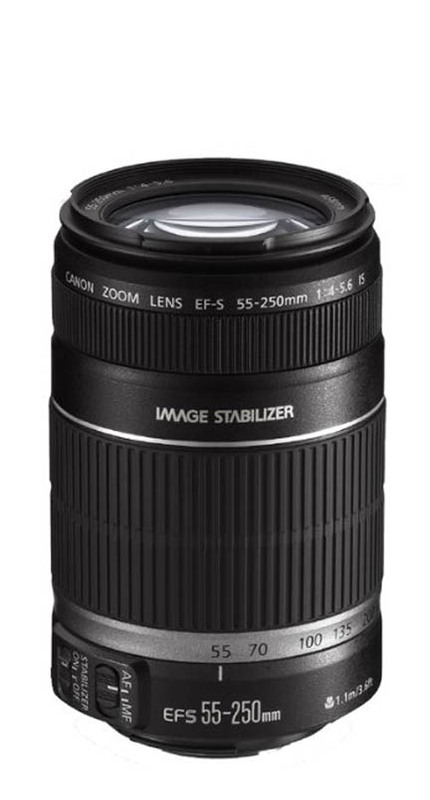 Both the IS (Image Stabilization) and the standard versions of the 70-200 f/4 lens receive over 96% 4 and 5 star ratings on Amazon. Photographers love both of these lenses. The Canon 85 f-1.8. 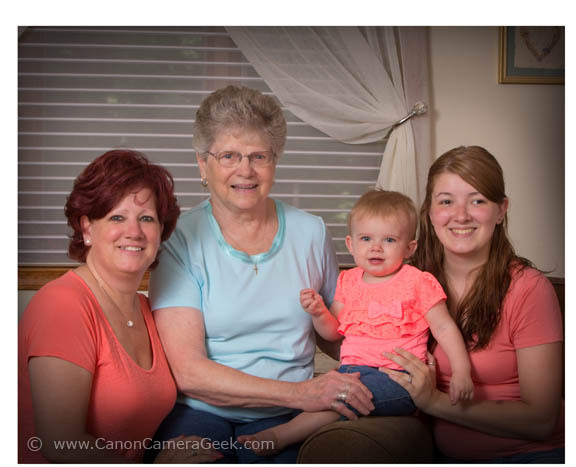 This was my first true Canon portrait lens. 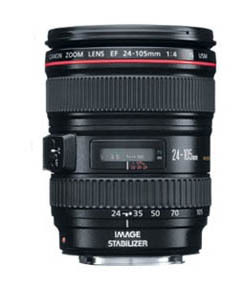 A single focal length "prime" lens like this does not zoom. At the wide open setting of f 1.8, you get an absolutely beautiful blur on all but the closest of backgrounds. When using a lens that does not zoom like this 85mm prime lens, you also avoid the possibility of getting any pin-cushion or barrel distortion. Cheaper zoom lens will give you a bit of distortion at the widest angle settings. Use the 85mm f/1.8 lens when you're am in tight quarters where the background is not too far distant and you really want the background to go soft. The Canon 24-105 f-4. Zoomed fully in to 105 gets you a good workable, perhaps not ideal distance from your subject with a head and shoulder portrait. I like the versatility of my 24-105 and I have two of them. I use them exclusively when I'm shooting youth sports leagues where I'm shooting team photos and individual 3/4 poses intermittently. Some would deny that it is really can be called a best portrait lens, but I have used this lens for portraits since the year 2007. It is great for shooting groups because of its zoom range and image quality. If you're looking for the best Canon portrait lens, based on the technical data such as chromatic aberrations, vignetting, color, contrast and all of the technical stuff, you've come to the wrong place. For the majority of photographers, every so slight differences in test results can't be detected by the average viewer of the photo. Particularly in portraits where critical sharpness and exact color rendition is not absolutely critical to creating a beautiful, emotional portrait, the best portrait lens is really decided by it's features, such as focal length, maximum aperture, size, weight and price. Use the exact keyword Canon portrait lens review to get information that is more technical from one of the sites that does professional testing of lenses. They're made with less glass because the light traveling through them does not have to cover as big of a sensor. The come in a nice variety of zoom ranges, but there are realy 2 EF-S lenses that stand out in my mind. If you're a using a Canon DSLR camera with the smaller APS-C, you can save money because you don't need a full-size Canon EF lens. You'll make out better by getting one of the EF-S lenses, like the 55-250 lens. Powerful enough for sports photos too. It has Image stabilization so it's good for hand held portraits. That's the equivalent reach of an 88-400mm zoom lens on a regular full frame sensor. You could use it for portraits as well as shooting wildlife and bird photography. The proof is in the puding. 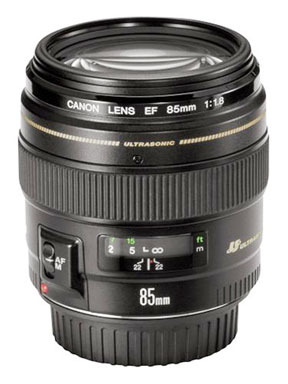 You can tell that the 18-135mm f/3.5 a good lens by the number of people who purchased one and been happy. This is rally the perfect zoom range to handle portraits, both group and individual poses. It has a 7.5x zoom range. It really has a nice compact design and can easily be used as an all-purpose lens, not just as a good portrait lens. You may not be looking to buy one right now, but you can just read some of the reviews written on Amazon by clicking through using the link below. This is likely overkill for you, but I recently purchased a new super telephoto lens for my Canon DSLRs, so I'm updating this post. If you really like a long distance perspective and you want to have the ability to get great bokeh, the Canon EF 100-400mm f/4.5-5.6L IS II USM Lens can be used for portraits. It would be real challenging to use it for large group photos-you'd be a mile away to fit everybody in-but for small family portraits and individual portraits, it gives you a nice flat perspective. If you want just one single lens to shoot small group poses and individual close-ups get yourself a moderately priced, quality zoom lens. If you ultimately want the best Canon portrait lens in terms of sharpness only, you'd go with a fast prime lens. But, perfect sharpness really isn't the most important thing when selecting the right portrait lens for your Canon.